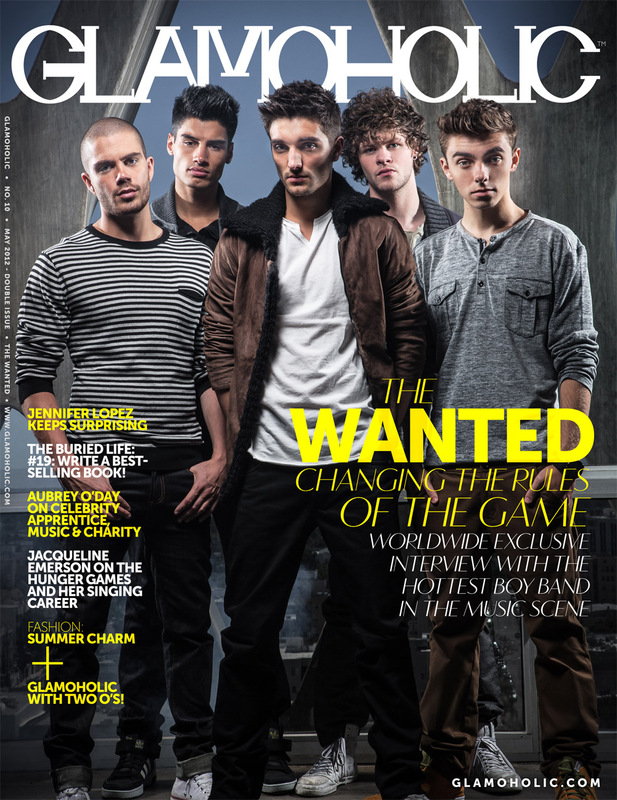 The new issue of Glamoholic magazine (#10, May 2012) is now available with THE WANTED on the cover. 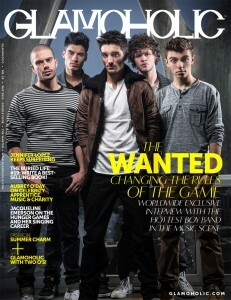 The Wanted talked to the magazine about their success, upcoming album, and competition. “The Buried Life” talked to Glamoholic about their new book “What Do You Want To Do Before You Die?”, what’s next on their list, and the most embarrassing wish on their list. “I think a lot of it has to do with how we put the book together – 150 of the list items that are illustrated in the book were submitted from people in our Facebook and Twitter communities; in a sense it’s like there are 1.5 million writers of this book.” The guys said about the reason behind their book’s success. The new advertising film by Cartier is simply amazing! From the concept to the smallest detail in execution, the makers of this film made it magical, attractive, extremely glamorous, and represents the image of Cartier perfectly. 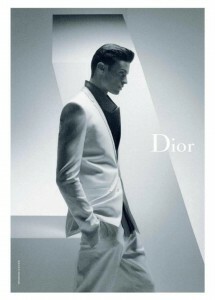 Check out the new stunning Dior S/S 2012 Campaign with Baptiste Giabiconi! The campaign is going to be in magazines and on billboards in several european cities. Moreover, Baptiste will be heading to Geneva later this week to shoot a GQ China cover, and will be back to Paris next week to shoot a new spread for Glamoholic magazine. Glamoholic magazine starts the new year with its first graphic design cover ever! 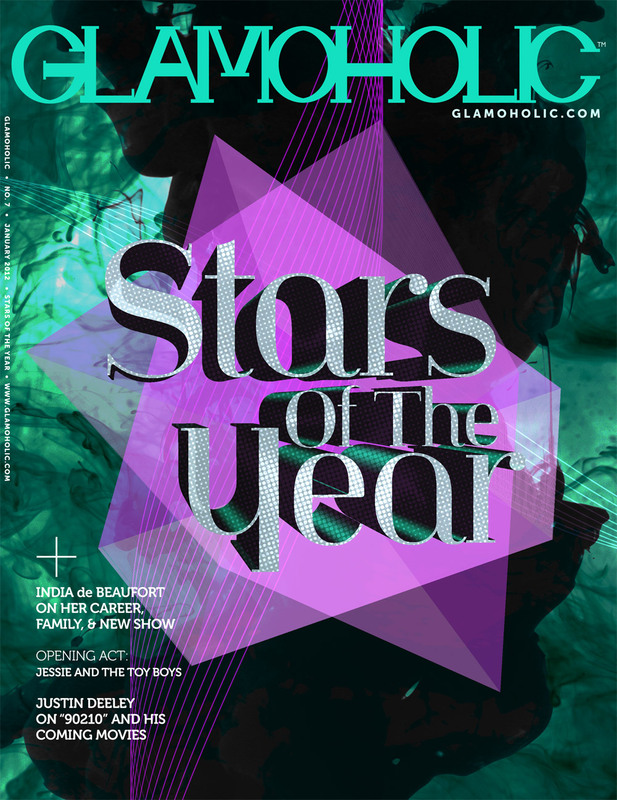 Dedicated to “Stars Of The Year”, the January 2012 Glamoholic cover comes with a unique creative 3D graphic design. The presence of the “poster impact”, the shades of colors chosen, and the combination of elements made this cover have its own spirit. There is a lot of future-like look in this cover, yet there’s a human feeling that brings this design to life. Glamoholic magazine released its October 2011 issue with Twilight’s werewolf Alex Meraz on cover. Alex talked to the magazine about the next Twilight movie “Breaking Dawn – Part 1″, his coming movies, and his other interests in life beside acting. The Glamoholic exclusive photo shoot published with the interview was shot by photographer Vijat Mohindra. In fashion, Glamoholic’s October 2011 issue included a feature about the Summer 2012 collections of Dolce & Gabbana and D&G, in addition to fashion editorials shot by photographer Michael McCloud. Glamoholic magazine released its September 2011 issue with actress and singer Samantha Mumba on the cover. Mumba revealed the details of her awaited come-back announcing a new movie, new reality TV show, and getting engaged! Samantha’s Glamoholic exclusive photos published with the interview were shot by Gabriel Goldberg. Actor Erik Fellows talked to the magazine about the four new movies he is shooting in the coming period, including a vampire-love store film named “Dance Of The Damned”, to be directed by Katt Shea and produced by Roger Corman. Glamoholic also published exclusive editorials featuring models Andre Condit and Fredric Johansson, in addition for a unique photography editorial by Masakazu Kurihara titled “Serine En Italie”. Rihanna For Armani Jeans: Hot or NOT? Is it only us or Rihanna DOES look strange in the new campaign of “Armani Jeans”? The blonde hair thing made it difficult to recognize Rihanna! So hello Armani? You wanted Rihanna for your campaign and you paid much $$$ and after all we can’t tell it’s our hot RiRi? We hope there are more shots in the campaign with a more Rihanna-looking Rihanna! Glamoholic magazine’s August 2011 issue is all over the internet! Hundreds of web-sites published the news about this issue, such as JustJared.com, OhLaLa Magazine, and many others. The World’s #1 model Baptiste Giabiconi covered the issue, as he was the main guest on the magazine with a very special interview. ELLE’s senior accessories editor Kyle Anderson talked to the magazine too, about his career in NY, trends, and celebrities. The issue contained a special editorial about launching a new crocodile skin bags collection by “Onassis”, and many more exciting articles on music, movies, fashion, and cars. 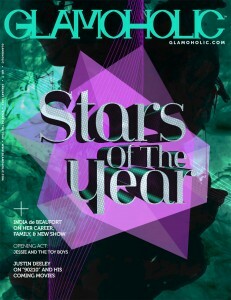 Check out the August issue of Glamoholic: www.glamoholic.com . Follow Glamoholic on Facebook and Twitter. The logotype of newly launched Glamoholic magazine re-creates classic fashionable typography by adding a fresh touch to it. Mixing between traditional fashion typography and modern lines and curves gave the logotype, designed by Bashar Zidane, the iconic look it needs. The logo appears on the magazine also in diamond version that adds to it another Glamoholic touch. Glamoholic magazine released its first issue last week, raising the bar for all online monthly magazines. Actor Chris Zylka covered the first issue, and talked to Glamoholic about his career, coming movies, and memories. Infamous choreographer, producer, and director Brian Friedman is also featured in an exclusive interview. The issue includes an exclusive coverage for Shakira’s concert in Morocco, in addition for many interesting sections on music, cinema, fashion, and more. Photographers featured in the first issue of Glamoholic include names such as Gabriel Goldberg, Sean P. Watters, and Chan Andre. And make sure join its official pages on Facebook & Twitter.